Thursday 9th October from 5.45pm at LCI, 20 New Market Street, Leeds, LS1 6DG. 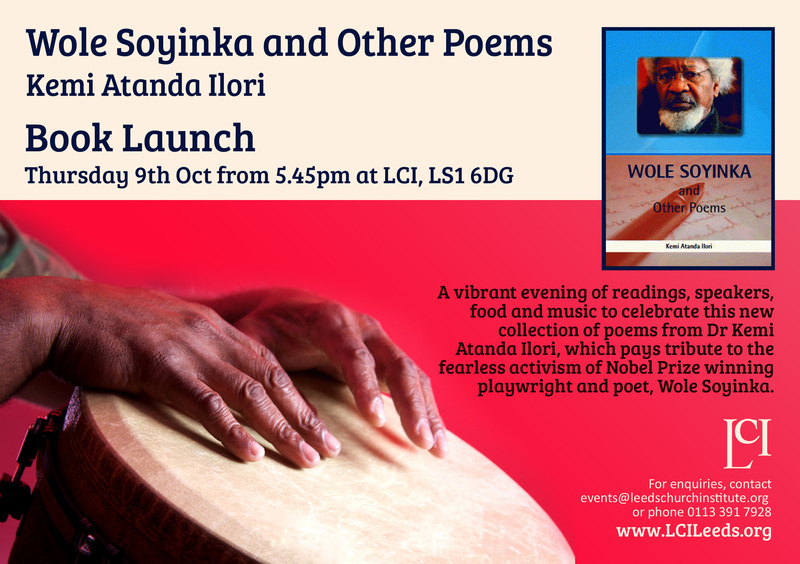 A vibrant evening of readings, speakers, food and music to celebrate this new collection of poems from Dr Kemi Atanda Ilori, which pays tribute to the fearless activism of Nobel Prize winning playwright and poet, Wole Soyinka. To obtain tickets please use this link.